You are here: Home / Food / Veestro… Just Heat, Eat, and Love! Veestro… Just Heat, Eat, and Love! You guys. Baby River will be here in 9 DAYS!!!!!! I feel like I’ve been pregnant forever, and it’s so unreal to me that I almost have him with me now! We are starting to prepare the house/ourselves for the “4th trimester,” that crazy month or so following birth where mom’s hormones are running wild, you are trying to get the hang of sleeping/breastfeeding/your new normal, and things are just HECTIC. There have been infant CPR classes to take, cloth diapers to pre-wash, baby swings to assemble, and finances to sort out. 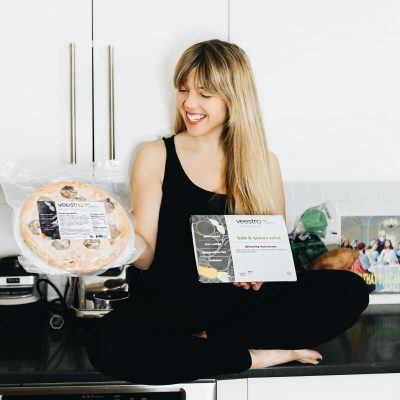 But one of the easiest things I’ve done to prepare for the 4th trimester has been stocking up on frozen meals from Veestro so that we don’t have to even think about what we are going to eat during that time… But we DO know it’s going to be plant-based deliciousness that takes barely any time to heat up! Check out Veestro, and let me know what you think! There has truly never been an easier way to eat plant-based, chef-prepared, restaurant-quality meals at home, affordably. 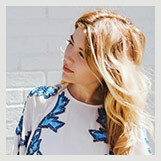 Dallas-based blogger and personal stylist with a focus on eco-fashion. Don’t miss a thing! Subscribe here for animal-friendly goodness.